How are Stem & Stamen plants different from normal plants? No need for soil, water, light or maintenance. Our plants stay in their fresh-cut state for up to 10 years, without the need for bulky soils, complex drainage systems or maintenance. 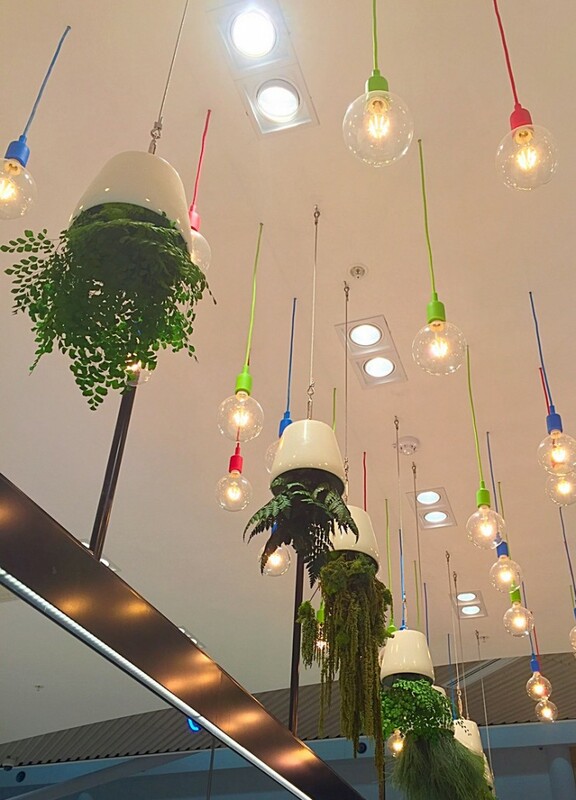 This means that our plants can go anywhere in hard to reach places like suspended heights where maintenance would otherwise be prohibitively expensive. Because they do not require soil or water Stem & Stamen plants remain lightweight and low volume, providing the perfect solution for tight spaces. The life-span of our plants is species dependent, and it also depends on the way that they are cared for. If kept in optimum environmental conditions our Stem & Stamen plants last between 3-5 years. However, this varies, and our moss has been known to last over 20 years, our trees up to 10 years, and some ferns up to 10 years. How do I keep them in best condition? Our plants need to be kept out of direct light, out of contact with water, and preferably in air-conditioned environments. The optimum humidity is 40-60%RH though up to 70%RH is fine for some species. As with any surface, dusting is required. The frequency of dusting depends on the built environment in which the plants are kept. Some installations may only need dusting once every 2 years, where others may need dusting once every 3 months. How much do your greenwalls cost compared to normal greenwalls? The upfront costs of setting up our plants are within the same price-range as living greenwalls, however there is no ongoing cost. Because there is no need for water and the plants don’t die, there is no need for the ongoing maintenance costs or replacement costs, other than dusting. What if we want to change ‘the look’ of the place, is it easy to change parts of the greenwall or installation? Yes, it’s an easy changeover that’s as simple as gently pulling the plant out and putting another back in. Yes, we provide an integrated service; we import, design, supply and install anywhere in the world. We’re interested in your products, but our project is overseas. Is that a problem? Not a problem. The first step is for Stem & Stamen to come up to speed with local customs and quarantine requirements where the project is going to be. We then provide our customers with a selection of species that are allowed into the country, and align with one of our partners across the world to deliver the project. Here in Australia we are bound by firm quarantine restrictions, and the preserved plant species that we bring in have been selected based on these restrictions. All our products are preserved and unable to propagate. Our team is driven by an environmental conscience and respect the part we play in protecting Australia’s biosecurity. From a sustainability point of view, are your products safe? The founder of Stem & Stamen has a professional environmental science background, so first and foremost, sustainability is behind every business decision we make. Our plants are not part of a protected species, and they are unable to propagate so cause no risk to our biosecurity. We ensure that we comply with Australian quarantine laws and respect these laws. The manufacturer’s of our preserved flora declare that our plants are not of a protected species and that the preservation formula is non-toxic. The materials we choose are not conventional materials commonly used in the floristry industry. Materials such as floral foams and polystyrenes are harmful to human health and to the environment, and we do not use these in our designs. We endeavour to provide solutions that avoid these products, opting for materials that are recyclable and non-toxic. You talk a lot about sustainability, is this just ‘greenwash’? Our customers are welcome to come to our Atelier at any time, and see for themselves. Our founder is also ready to have a conversation about Corporate Social Responsibility at any time. We believe, that we are part of the positive change that we want to see in the world. We believe in optimising efficiencies and minimising negative impacts at the cradle.